On this episode, we talk about a role in the fire department that’s near to my heart: The PIO. The Public Information Officer was the key to my getting information about the department, its people, and the incidents it covered when I was a newsman. But I had to build a relationship with each one before they would trust me. The best PIOs are the ones who recognize that good journalists aren’t out to get them – we just want the best pictures and sound. And solid PIOs are proactive, too, promoting the good that fire departments do on a routine basis. Back again on Code 3 to discuss this are P.J. 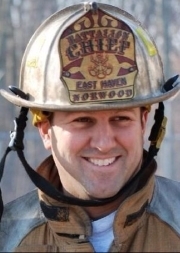 Norwood, a Deputy Chief Training Officer for the East Haven Connecticut Fire Department, and Sean Gray, a 21-year veteran of the fire service and a lieutenant in the Cobb County Georgia Fire Department. P.J.’s article: Who is Delivering Your Department’s Message? Why are Dalmatians considered firehouse dogs? The Dalmatian was originally kept to protect horses that pulled early fire rigs. 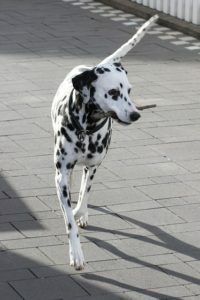 Dalmatians would run alongside horses, keeping pace even when sprinting long distances. The dogs would even defend the horses from other dogs or animals that could spook or attack the horses during the ride. They also stood guard at the fire scene to make sure no one stole any gear. Nowadays, if you have a dog in your station, he probably doesn’t have the same responsibilities. But he represents an important part of fire service history.